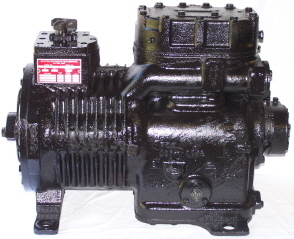 9RA2-050A-CFB-800 Copeland Copelametic refrigeration compressor. The 800 series replaces all previous variants of the 9RA2-050A-CFB-800, 9RA1-050A-CFB-800 and 9RA-500-CFB-800 model Copeland Copelametic refrigeration compressors. Remanufactured in Dayton Ohio USA to original specifications. Copyright © 1943-2019 Dayton Refrigeration Service. All rights reserved.